The HM3 MegaWind Final Edition by MB&F achieves the ultimate contrast: that of light and dark. 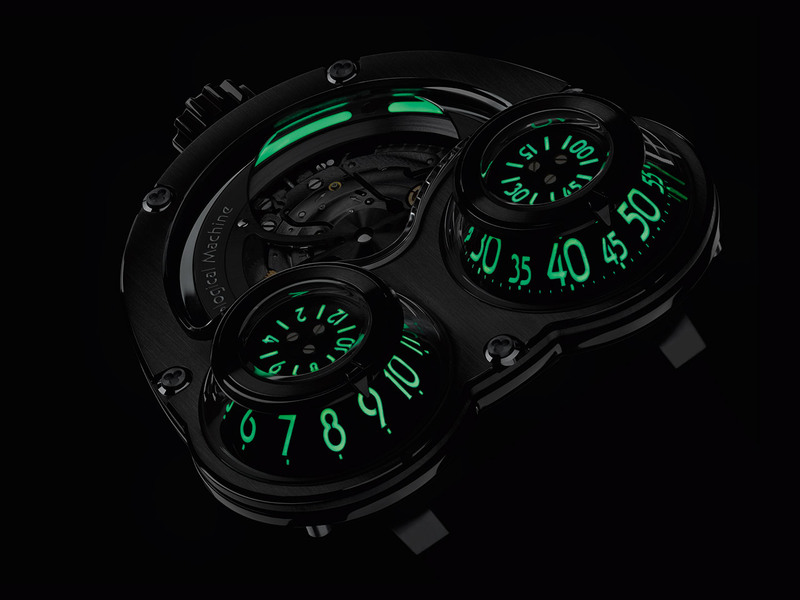 The dark surfaces of the case in black PVD-treated 18K gold and the rotor in blackened 22K gold and titanium are accented with the green light of Super-LumiNova. 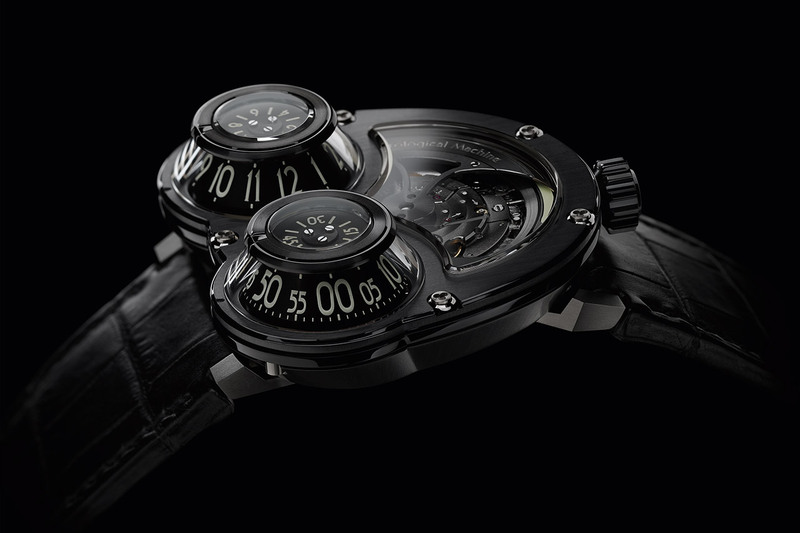 In pitch black, the constant glow from the hour and minute displays on two three-dimensional cones contrasts with the stroboscopic flashes produced by the oversized "battle axe" rotor as it swings back and forth above a luminescent strip on the surface of the inverted movement. 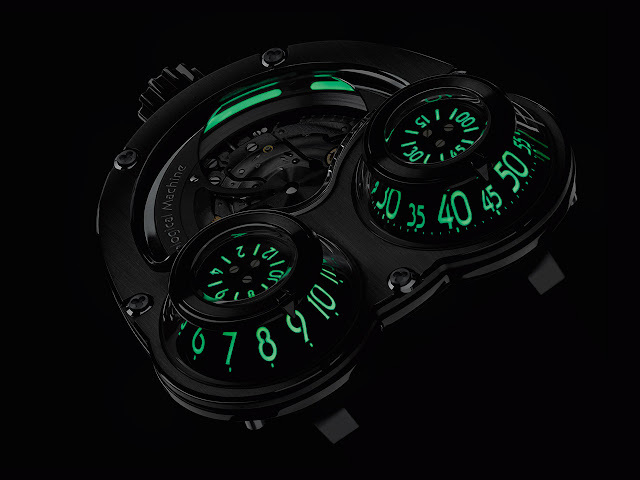 MB&F has introduced yet another technical revolution to this already complex architecture in the form of Super-LumiNova GL C3 Grade A, the purest and brightest luminescent substance that is distinguished by its unique green colour. 25-piece limited series.